Nestled in the heart of KL, Colony KLCC is a triple ace that combines a prime location, lavish furnishings and focus on hospitality. 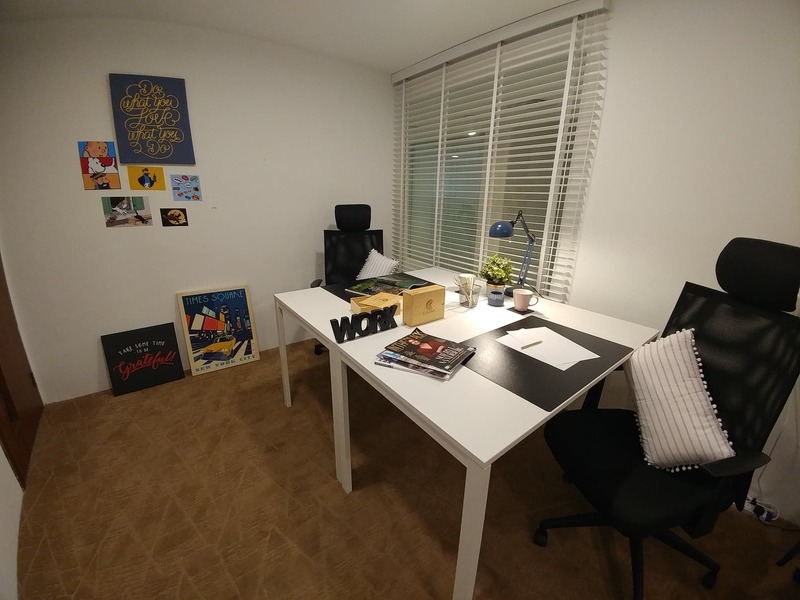 They’ve recent launched a second office in Eco-City and from the start, co-founder Timothy Tiah’s vision has always been to change how Malaysians approached offices. Since we spend a large chunk of our waking hours in them, he wanted to build offices that employees actually feel happy in. To this end, he wanted an office space that provided a five-star-hotel level of service—where guests’ needs aren’t just met, they’re anticipated. Back when we wrote our original review of Colony, they were in their second month of operation, and the team running it was also very new to their job. Now that they’ve had almost a full year behind them, the Colony team believes that they’ve reached a new high point in their service level, and they wanted to prove it to us. To be honest, we didn’t require a lot of convincing—it’s hard to turn down a “five-star office” experience after all. What Does Levelling Up Even Entail? We already covered the location, facilities and amenities there in our previous review and safe to say, these had actually improved. For instance, even the in-house café has changed and switched up their menu to include a greater variety of choices. Since the team said that they’d levelled up, we thought we’d step it up on our end too. 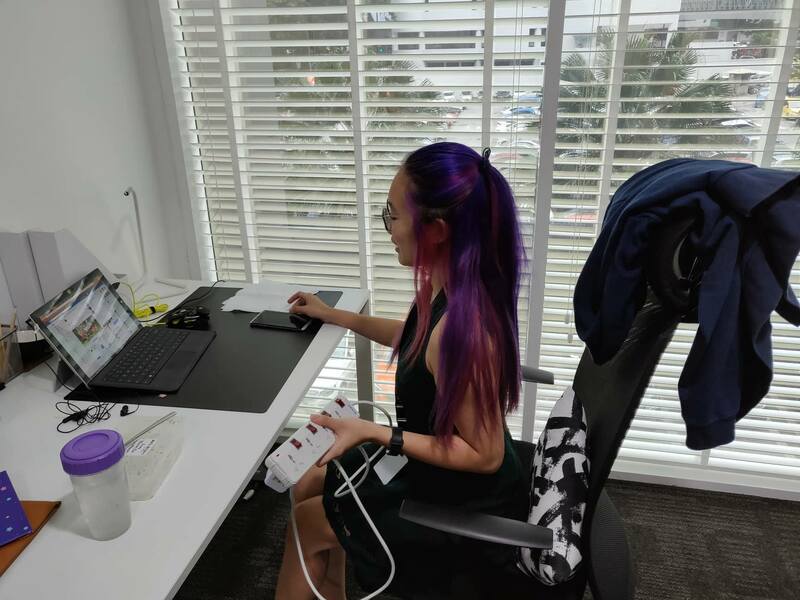 Instead of just doing a straightforward review, we decided to push the team a little further by setting a few challenges, and documenting how they responded to them. Disclosure: This post was written in collaboration with Colony, but the team serving us was not informed of our objective. They were only told that we were to be working in the office for a set period of time. On our very first day, we asked for a mousepad, since one of our writers had misplaced his. The team gave us their apologies, as they did not have any on hand. However, later in the day, we did come back from a break to find these black placemats on our tables instead, which served as mousepads pretty well. Note: Private offices in Colony can be pre-decorated with little homey touches—and for a fee—you can request for the team to include those when you get in. An example of a pre-decorated room. Colony offices actually come with plenty of power points in the walls, but we wanted to see if they could fulfil something that might be a fairly common request. We asked, and they delivered (with an apology too, as it took them about an hour to get it to us). The whiteboard marker came a lot faster. We did make her pose with this; “For the article!” we said. So far, we’d made a lot of requests for physical things, so this request was meant to hopefully throw them off (not that we wanted them to fail, of course). Professing an absolute ignorance of Chinese language in general (which isn’t too far from the truth), I brought an article to the Concierge, and requested a translation. The first community manager was quick to tell me that he too was a “banana”, but two other team members immediately stepped up to the plate, checked out the article, and were able to give me a quick gist and overall summary of the piece (which I had counter-checked with a colleague who could actually read Mandarin). Throughout, the Colony team members were unfailingly polite, answered all my questions, and were quick to reassure me that my request was not unusual or a bother. It just so happened that both our director and I had birthdays this month. So we decided to throw a small celebration in Colony. As the person being surprised, I didn’t know this was even a challenge—my team members did this on their own. To up the ante a little, the sneaky planners decided not to inform the Colony team ahead of time. Instead, they put in a request at around 10 am, with specific flavour requests too (Earl Grey or Tiramisu, for anyone else who wants to get me a cake!). So just after lunch, there was a knock on the door, and they delivered. Besides getting the cake (on the house too), lighting the candles up, and bringing it to our door, they even brought over the plates and cutlery to eat the cake with. Here’s a shot of the very yummy cake! Besides the challenges, we had other observations about the Colony team that we didn’t have to orchestrate or request. So for a bonus round, here’s what we noticed. In the past, the team had always been meticulously polite. However, this time round, we did notice that they took extra effort to greet everyone who was walking through the hallways (and no, it wasn’t just us). The greeting was often accompanied by the guest’s name too, which shows that they actually take the time to remember their tenants by name. We also had one of the Colony team knock on our door and check in on us once every day or so, just to make sure we were doing alright and to see if we had any requests or problems. One day after we’d had lunch in-house, one of the Colony team members chanced upon us and offered us coffee. Observation 3: Remembering personal details that matter. Having told one of the community managers that we had a lactose intolerant member of the team, this was actually something the entire Colony team took note of, and made an effort to accomodate. Whenever delivering any gifts or surprises or fulfilling requests, they would note that something had dairy and drop us a friendly warning, for our colleague’s sake. 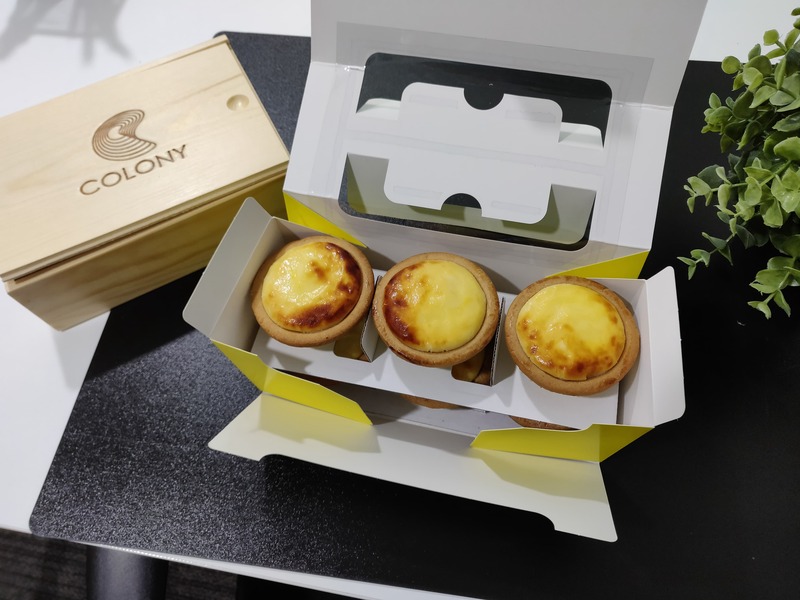 For instance, when they brought us these cheese tarts as an after-lunch treat, they made sure to let us know that it wasn’t dairy-free, and thus not suitable for our colleague’s consumption. You can probably already tell, but we had a really good time in Colony. If the five-star hotel treatment was what they were going for, short of having a bell that we could jingle (or an office phone) to summon them, they’re getting pretty close. And according to their founder, Timothy Tiah, they still have some ways to go before they hit the standard he is fully satisfied with. Right now, they’re still looking at even more ways to tweak and improve guest experience. We know what one of our colleagues enjoyed the most about working there, besides the top-notch service. Thanks for having us, Colony! And we definitely won’t say no if you invite us in to work at your office again! Check out our coverage of Colony here, and our write-ups on general co-working here. The post Colony Says Their Hospitality Has Levelled Up—We Secretly Put It To The Test appeared first on Vulcan Post.